When you're considering a new lawn, you have two main choices: seed or sod. Each has several advantages and disadvantages. Understanding the limitations in available time, terrain and maintenance for the property will help determine which method of growing grass you want to use. Proper planning of these issues will help ensure the proper choice for your lawn. Grass seeds are the beginning stage of the grass plant. Seeds require distribution and germination to create the grass for lawns. There are several types of grass seed that produce various grasses. Sod is a layer of already established grass that can be set onto bare soil. Grass seed must be started earlier than sod because it takes longer to establish itself. Grass seed also has optimum planting dates such as April, May, August and September, depending on where you live and whether the grass is a cool-season or warm-season variety. Sod can show results within weeks of planting, if done properly. Grass seed can take less time to lay the initial covering because it is often accomplished by hand or roller. Sod must be carefully cut and laid so the edges meet, using methods similar to carpet or tile laying, which takes more time. Grass seed is best suited for areas where a specific choice of grass suitable for the area is recommended; examples include shady spots, poor drainage areas, sandy soil or acidic soil. Sod is best suited for level, flat, open ground where the grass can get direct sunlight. Steep slopes, windy areas or areas with high erosion issues are better suited for sod because grass seed will be washed or blown away before the grass takes hold. Advantages to using grass seed include use as a patch in bare spots as well as overseeding to revive thinning lawns. More varieties of grass can be found as seed as opposed to sod. Grass seed is less expensive to put down compared to sod. Sod provides an instant finished lawn. Sod can be used to control erosion, mud and weeds. Sod can be installed on steep slopes and terraces because the weight of the sod holds it in place. 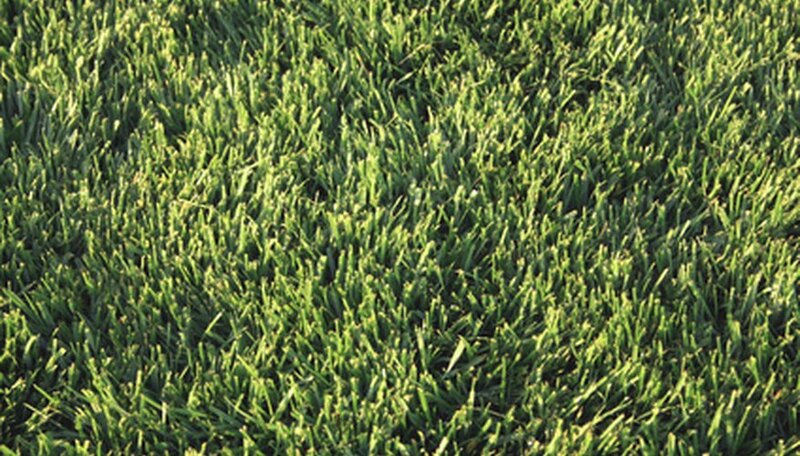 Sod grass is limited in the range of grass species available; most commercially available sod is a type of Kentucky bluegrass. Sod must be watered immediately after being laid out or it will dry out. Rolls of sod heat up quickly and can die within 48 hours if not laid. Grass seed is prone to wind, grazing, flooding and birds before establishing shoots. Sod is harder to place in oddly shaped areas or uneven corners. Grass seed may need to be spread twice to establish a healthy lawn.